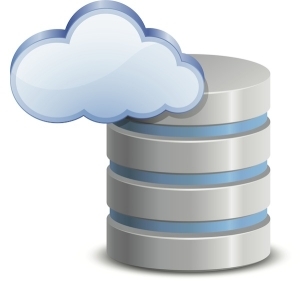 Amazon Elastic Cloud Compute (Amazon EC2) is a core offering of Amazon Web Services. Many businesses migrate to the cloud via Amazon EC2 for scalable, redundant, on-demand cloud computing and data storage. With the traditional cloud computing model, many users often share space on the same server that is hosted by a cloud computing service company. Many businesses are hesitant to move to the cloud for fear that a glitch in a firewall or a savvy cyber-criminal could somehow cause the data to leak into the cloud servers of other organizations hosted on the same physical server by the cloud company. To offer businesses more control over their data in the cloud, Amazon offers Amazon EC2 Dedicated Instances and Amazon EC2 Dedicated Hosts. The options share similarities in that both provide clients with instances in the cloud that run on dedicated physical hardware. With these options, only one client’s data is stored on one physical server. The difference between an Amazon EC2 Dedicated Instance and an Amazon EC2 Dedicated Host is that with a Dedicated Host, users can control how the instance is configured on the cloud provider’s physical server. The increased level of control allows businesses to access the power of cloud computing while adhering to compliance to regulatory and/or standards. For a company that is currently managing technology on-premise, moving to the cloud can potentially be a costly move as their licenses for software applications running in-house often can’t be transferred to the cloud, especially a public cloud configuration. Amazon EC2 Dedicated Hosts allow companies to use already existing per-core, per-socket, or per-VM software licenses for applications such as Microsoft Windows Server, Microsoft SQL Server, Enterprise Linux, and other software licenses. As the end-user has complete control over which physical server they are running their instance on, they can transfer their software licenses held in-house over to the cloud in a similar manner to which licenses are transferred during physical hardware upgrades. Not having to purchase new software licenses coupled with the cost savings of the cloud can lead up to significant savings over time. Even though Dedicated Instances are set up so that one customer, and one customer alone runs on a single physical server in the cloud provider’s datacenter, Dedicated Hosts provide additional visibility and control by allowing users to place their instances on a specific, physical server. Being able to map out and pinpoint exactly where your data is being stored and processed in the cloud can help you build configurations that help to align a company’s cloud IT environment with corporate and industry compliance and regulatory requirements. A Dedicated Instance is charged based on usage and then is charged an additional $2 per hour as part of a region fee. With an Amazon EC2 Dedicated Host, users are charged per host (not by per instance) This means that clients are billed regularly for services instead of being billed by instance usage.